Trailguide.net is a free web-app to find and share the best MTB singletracks and riding destinations. One easy tool for mountain bikers who love to ride singletracks, to find all the information they need to enjoy the ride. Open trailguide.net on your phone and find great trails. 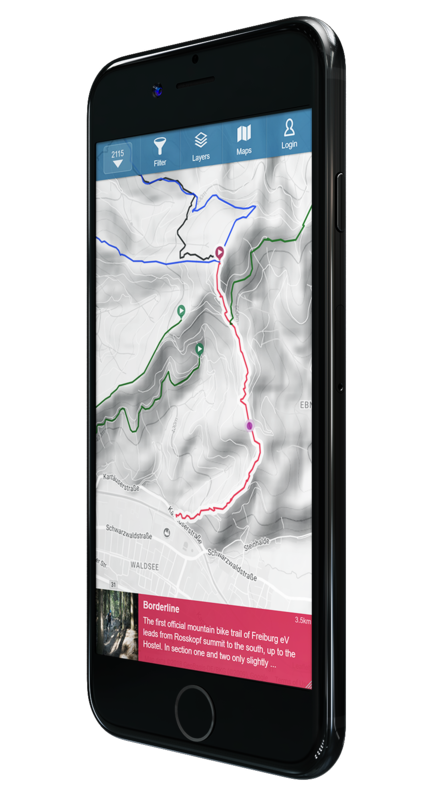 Get access to high quality maps and always know if you are on the right trail. Find all information you need for your bike rides or trips. Share the riding experience with the community, log your ride and rate the trails. Be a part of the Trailguide community and share your favourite trails so other bikers can enjoy them too. Participate in Trailguide Trail Challenges, explore new trails, accomplish the challenge and win cool prizes. Free web app. No download. Trailguide is a web app and no download is needed. Just open trailguide.net in the browser. Trailguide is used by mountain bikers who love to ride singletracks, and by all tourism and bike related organisations. Trailguide is used by mountain bikers who love to ride singletracks. Destinations use Trailguide as a service to their guests, a communication platform and for efficient trail management. Make your hotel visible on Trailguide to attract bike tourists. Offer local trail maps and navigation. 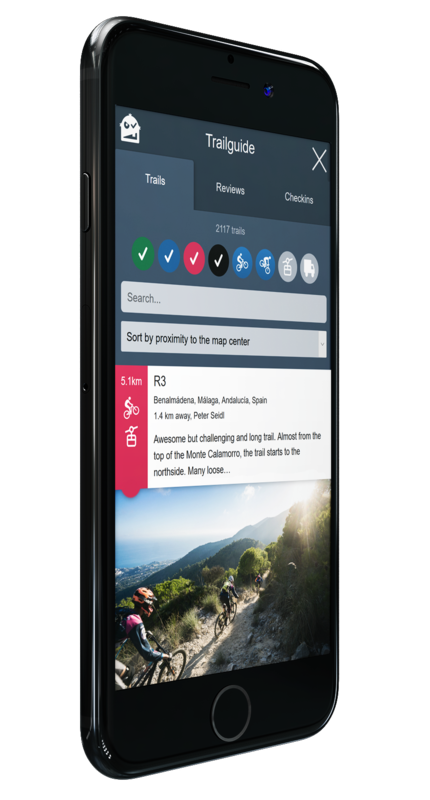 Bike guides and shuttle companies use Trailguide to connect to bikers and offer maps and navigation for shuttle-only guests. Add your business to Trailguide to attract bikers visiting the local trails. Bike shops, workshops, rentals and other sports shops that sell bike related articles can advertise on Trailguide. Provide all necessary information and a navigation tool to your visitors. Challenge, motivate and guide them with Trail Challenges. Connect to bikers and show your offers on Trailguide. Use Trailguide as an info tool, for events, trail building and management. Complete your digital article with interactive maps. Connect your print medium with QR codes to the digital world and provide free tool at the same time.